When a Map is simply, a map. OLTENIA and TRANSILVANIA.The tenth province called BASARABIA, due to first Rusian and later soviet ocupation became what is known today as REPUBLICA MOLDOVA an independent state. Now, given that he does comment about nine provinces I'll help this one out, when I typed in Provinces of Romania on Google they gave me this website , the nine provinces which the commenter referred to are in fact regions within Romania. The Provinces are as follows: Dobrogea, Moldova, Muntenia, and Transylvania. Now, if you also do some research into what the term "Transylvania" means sometimes it is considered that the Banat can be a part of this province. The Banat is a region in Romania. 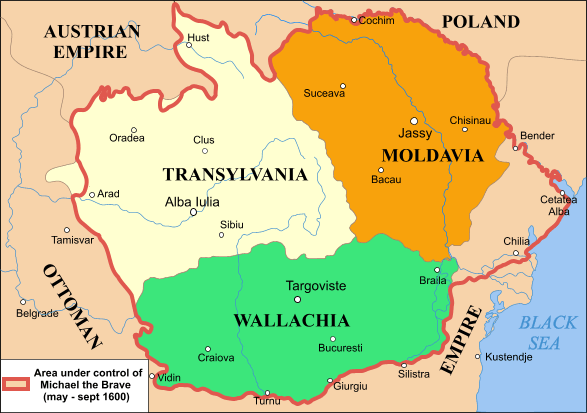 Still, going back to 1600, and the person of Michael the Brave, the THREE principalities were: Moldavia, Transylvania and Wallachia. So, this was an interesting comment, and one that shows that Transylvania, however you want to say its territory is, is a part of Romania, and also a part of Europe. For the record: simply Google "the nine provinces of Romania", and you will find a lot of information. Real reaserch is not to be done via google or Wikipedia since the informations on the internet are never accurate.Since your blog is intended to inform people with no knoledge of the region"s history,it is your duty to quit the "fast facts&short version" style and present the information in full.Those who are interested will take the time to read and get out of the darkness of ignorance.By the way...BANAT was a province in the Habsburg empire that later was divided between Romania and Serbia.Yes there is a Serbian Banat too. claus-- it appears so do you. As for research this is to imform people who will not go much beyond websites to learn. And yes most people do know about the Serbian Banat. However you are still incorrect about regions and provinces. Please read teh book entitled Transyvlania, or teh Blakan nightmare, or if you are conserned teh travel guide Romania and Moldovia.